northeastbarristers.com is the initiative of a group of barristers based in the North East of England. 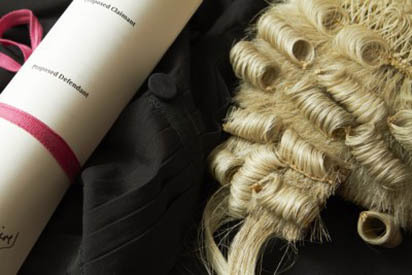 Through northeastbarristers.com members of the public and businesses can instruct a barrister directly to provide legal advice or representation at hearings. This service is designed to provide a simple, cost-effective route to quality legal services. Our barristers practise throughout the North East of England and appear in all court centres including Newcastle, Durham, Carlisle, Middlesbrough, York, Bradford, Leeds and Sheffield. The barristers available through northeastbarristers.com specialise in a wide variety of work and have a vast amount of experience. You can read more about those barristers by using the ‘Areas of Law’ search facilities on this page. The barristers available through northeastbarristers.com practise throughout the North East of England and appear in all court centres including Newcastle, Durham, Carlisle, Middlesbrough, York, Bradford, Leeds and Sheffield. The initial contact that you make with the barrister costs you nothing. He or she will advise you about the cost of conducting your case so that you can then decide whether you wish to instruct the barrister.